Hubble has reinvigorated and reshaped our perception of the cosmos and uncovered a universe where almost anything seems possible within the laws of physics. Hubble has revealed properties of space and time that for most of human history were only probed in the imaginations of scientists and philosophers alike. Today, Hubble continues to provide views of cosmic wonders never before seen and is at the forefront of many new discoveries. 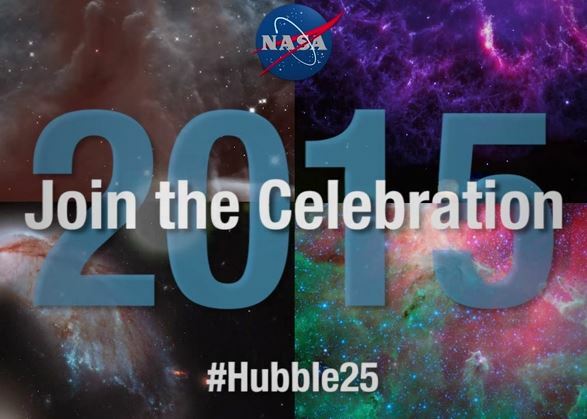 In honor of the 25th anniversary of Hubble, NASA has organized a year-long celebration of Hubble with a special website, Hubble25th.org, detailing the compete history of the revolutionary piece of technology. On the site, you can see images, articles, and a 13-part video series, all showcasing the telescope’s many accomplishments. This is a preview of the 13-part video series that will showcase the Hubble Space Telescope as it’s never been seen before. For the past 25 years Hubble has transformed our view of the universe, become a cultural icon, and even contributed to medical technology, among its many other accomplishments. I’m Jenny – I blog about Astronomy over at Hobby Help – perhaps you’ve heard of us? It’s a comprehensive ‘2019 Astronomer’s Guide to the Night Sky‘.